Our mobile games developers have a vast amount of games design and development experience. Our team has games specialist in all areas (games programming, games story writing, mechanics, game play elements, designing the GUI (Graphical User Interface), artificial intelligence, Games Characters and Graphics & Animations). We are proudly rated among the top mobile games development companies in Toronto Canada. Looking for mobile games developers consult with our developers. 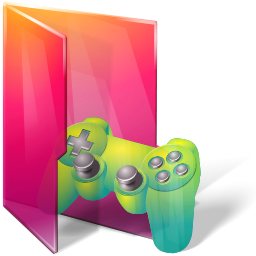 Using latest technology like Unity 3D/2D and Cocos 3D/2D we are fully engaged with mobile game development. We provide a variety of games such as casino games, racing games, card games, sports games or character oriented games. This is all done through new technology which includes Android Widget SDK and Open GL. Our team consists of Android specialists with ample experience and talent; hence we guarantee the best of our services. Our iPhone games development outsourcing Studio also deals in IOS game development and uses United 3D/2D, Cocos 3D/2D, Unreal, Canvas 3D and BOX 2D.We provide a variety of games such as puzzle games, racing games, card games, sports games or multiplayer games. We have worked with a number of clients across the World on man y high-profile app development projects. Users love our human-centric designs and clients love our initiative and mobile games development approach. Fascinating story lines, engaging characters and beautiful visual effects. Whether it’s IOS mobile game or Android mobile app development, we want to give life to gaming ideas on mobiles phones and turn them into technological realities! If you are looking for reliable mobile games outsourcing company and dedicated mobile games professionals who maintain high quality game development expertise in the industry.Our outsourcing primarily focuses on mobile game development for the clients in US and European markets because we believe we can help clients with affordable outsource mobile games development Our studio develops high quality games with creative story lines.